Boasting a commanding presence on Lake Eildon's waterfront, this excellent 3-storey home is a fine example of modern day architecture with superb lifestyle appeal. Features include 3 bedrooms, 2 bathrooms, bright open plan living rooms, cathedral ceilings, stone feature walls, galley kitchen and adjacent meals area. Downstairs games room, large return verandah/party deck, log heating, air-conditioning, double lock-up garage, bore water and pumping rights from lake. 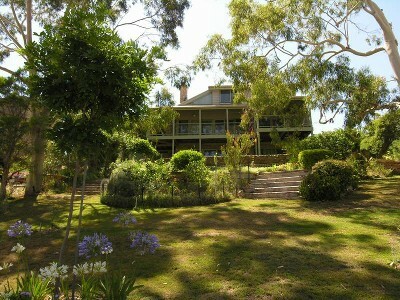 All set upon beautifully landscaped terraced gardens and lawns, rolling down to lake's edge. Ideal executive holiday home or permanent living. Fastidiously presented and maintained throughout, inspect is a must.